Four volumes of Divrei HaYamim - News of the Past, published by Mossad HaReuveni, Jerusalem. 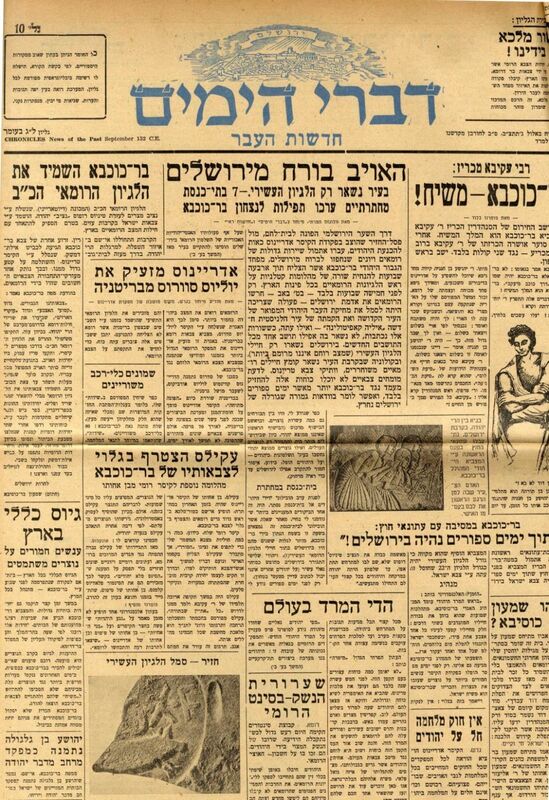 Chronicle of the Jewish people written and printed as newspaper articles with headlines, subheadlines, articles and pictures(!). The "report" on the various events is written in a style characteristic of the 20th century press. The volumes include history of the Jewish people from the days of our forefather Avraham through the period of the Early Authorities. Israel, 1970s. Volume 1: From Avraham until Moshe's passing. Volume 2: From Yehoshua bin Nun until Yirmiyahu the prophet [apparently lacking the front page). Volume 3: From the Purim miracle until the completion of the Talmud. Volume 4: Israel in exile from Mar Zutra until Yehudah HaLevi. Four volumes of issues in hardcover. Fine condition.